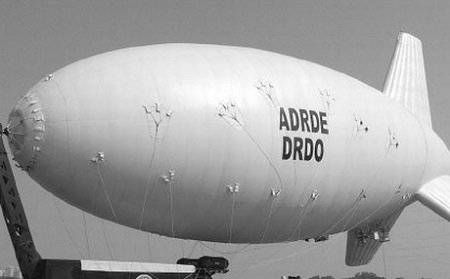 Defense scientists from the Aerial Delivery Research and Development Establishment (ADRDE), a DRDO (Defense Research & Development Organization) lab located in Agra, have begun the mission to develop India’s yet-to-be-named airship. Deviating from DRDO’s previous practice of launching an ‘open study’ ahead of any new project, the scientists are taking the ‘production realization’ route in their effort to demonstrate the airship technology. Confirming the project, ADRDE director Dr S C Sati told Express that the lab hopes to finalize the design by the end of 2014. 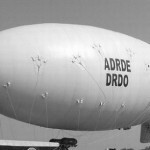 DRDO’s expertise in developing the Akashdeep aerostat is being put to use for the new airship project. “We started the work eight months back and have drawn inspiration from our earlier Akashdeep aerostat project. The feasibility study for the unmanned airship is over and we are all set to enter the design phase. Specifications of sub-systems are being worked upon now,” Sati said. While Akashdeep was successfully evaluated over the last couple of years, the ADRDE is now working on an advanced version – Nakshatra – said to be having higher payload and longer endurance. With a 22-m (72 ft) length, seven-meter (23 ft) diameter and weighing around 350 kg, the airship gives the option for both surveillance and tourism. “By developing Akashdeep, we learned the aerodynamics shape optimization, fabrication technology and integration of payload and systems. Our biggest challenge will be to ensure that the airship streams continuous surveillance inputs even in worst turbulence scenario,” Sati said. The DRDO has released a seed money of `19 crore for the technology development of the airship and promises to have its first flight in 2016. Once operational, India would join a select group of nations having developed such capabilities, including US, Germany, France and Japan. “The airship offers flexibility during surveillance missions, even over the sea,” Sati added. This entry was posted in Airships and tagged Aerial Delivery Research and Development Establishment, aerostat, airship, Defense Research & Development Organization, India. Bookmark the permalink.